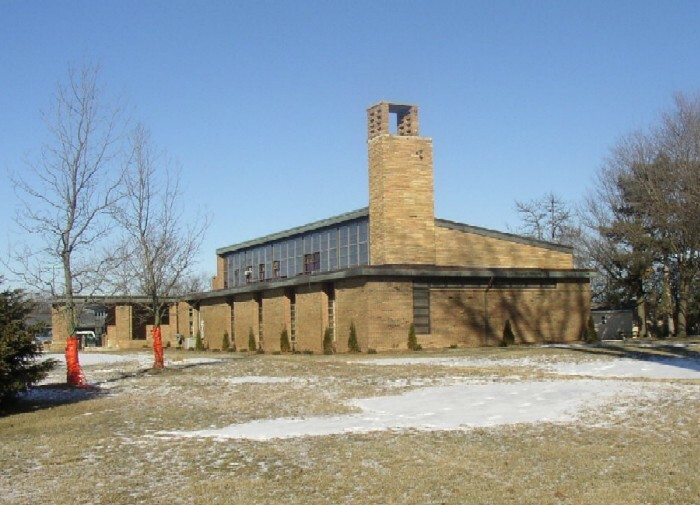 The busy Washtenaw County Service Center, at the corner of Washtenaw Avenue and Hogback Road, was once a place of prayer and solitude. Black-cassocked priests walked the grounds of the Holy Ghost Fathers Mission Seminary, where high school students began their study for the priesthood. The Holy Ghost order originated in France in 1703 and established its first seminary in the United States in 1874. 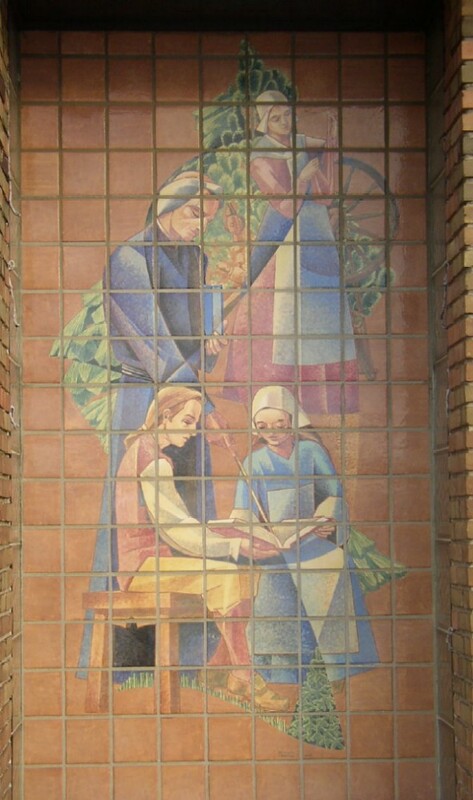 The idea of opening a junior seminary in the Midwest was first raised in the late 1940s. Junior seminaries -- residential religious high schools that prepared students for formal training in the priesthood -- were experiencing rapid enrollment growth. The closest Holy Ghost location, in Philadelphia, had a waiting list of potential students. Detroit, with its many Catholic parishes, was an obvious place for a new seminary. "Rather than send students to Philadelphia, we decided to build a school in Michigan," recalls Father Egbert Figaro, former assistant principal of the Holy Ghost seminary. 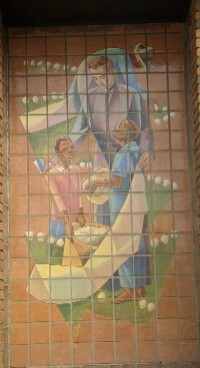 Funds for the project were raised within the Detroit Diocese. Father Franklin Hoeger, of Old Saint Mary's parish in Detroit's Greektown, was instrumental in the fund-raising and land purchase. According to Figaro, Hoeger, who is considered the founder of the school, was so influential and powerful in the Detroit community that "he could raise between five thousand dollars and ten thousand dollars at one charity event." The site chosen was the twenty-five acre LaPointe estate, on Washtenaw Avenue between Ann Arbor and Ypsilanti. "Ann Arbor was a prime area because of the high population of students," explains Figaro. "Our seminary was between the University of Michigan and the Ypsilanti Normal College [now EMU]." Built in the 1920s by Francis LaPointe, the founder of American Broach, the estate had been owned since the early 1940s by Vladimir Bibicoff, a Russian �migr�. According to Bibicoff's daughter, Xenia Coulter, her dad was a tool and die maker who prospered during World War II, but who had to sell the expensive estate -- which included a pool, tennis courts, and caretaker's cottage -- when his business subsequently declined. Father Dayton Kirby was sent from North Carolina to oversee the project. "He was one of the most saintly men I've ever met," recalls his friend, Helen Moray. Kirby was also a whiz at construction. Ann Arbor contractor Henry deKoning, was hired to build the seminary. "Father Kirby knew a lot about building and design and kept a close watch on every detail. I couldn't believe how vast his knowledge of construction was," recalls deKoning. 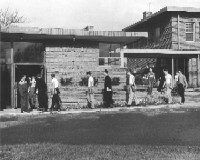 Kirby, deKoning, and architect Charles Hannan worked together closely. "Father Kirby had a vision of what he wanted, and we followed his instructions," says deKoning. The fourteen-room LaPointe-Bibicoff house was incorporated into the new seminary, but greatly altered -- the third floor was removed and deKoning's crew refaced the facade with brick to match the plans for the seminary. The former house became the residence of Father Kirby, who stayed on as the seminary's superior, or faculty head. A low, sprawling group of contemporary brick buildings, including student residences and a chapel, was constructed around the house. Louise Horton, writing for the St. Joseph Magazine in 1955, described the seminary compound as having "a beckoning quality so strong that you can hardly wait to get inside ... such simplicity and beauty form a perfect setting for work and study." Helen Moray's husband, Don, remembers the chapel building as "beautiful, with its tall bell tower and prominent cross." 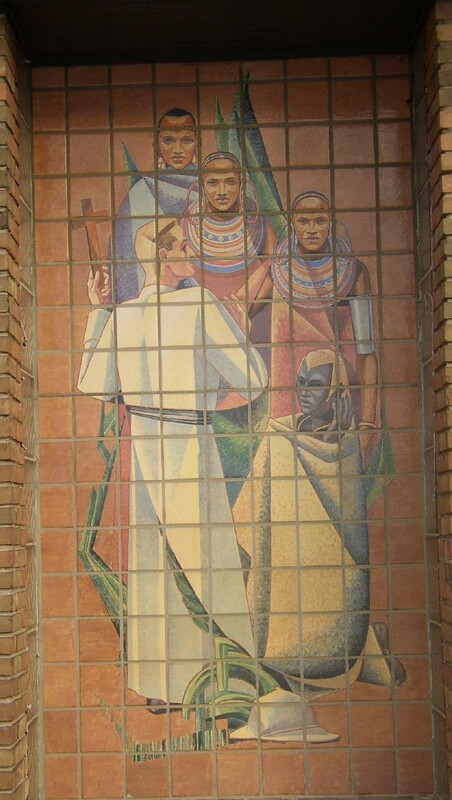 On the west side of the chapel, Chicago artist Melville Steinfels designed four ceramic tile mosaics depicting scenes from the history of the Holy Ghost order. Father Girard Kohler, now a Holy Ghost priest in Pennsylvania, was a member of the seminary's first class. According to Kohler, Catholic families "were drawn to junior seminaries," not just in the hopes that a son might become a priest, but also because they wanted their sons to "get a good education, be in a safe environment, and learn some manners and discipline." In 1956, parents paid $300 for a year's room, board, and tuition at the seminary. Kohler recalls that, awash in "the idealism of youth," he was attracted to the order because of its emphasis on foreign missions. He yearned to go to Africa and ended up spending more than thirty productive years there. Out of the sixteen students in his class, he's one of four who remain priests today. The Holy Ghost Fathers had a lasting impact on the community. "The order helped to expand the Saint Francis and Milan parishes," remembers Father Figaro. 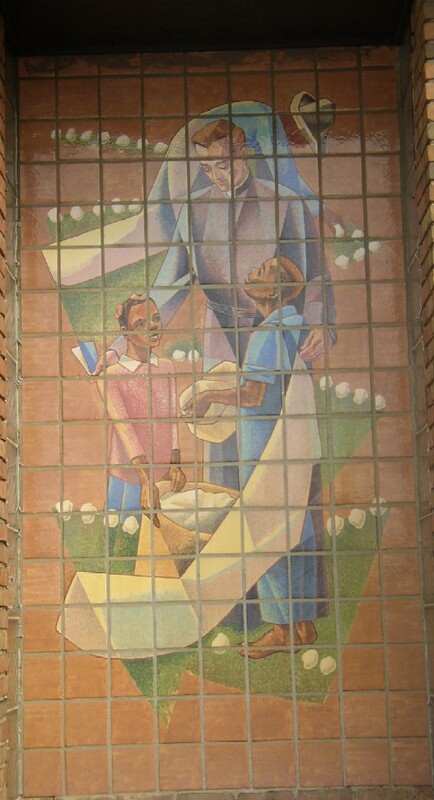 "Father Weigand served as the chaplain at the Ypsilanti State Hospital and was responsible for the construction of the hospital's chapel." Xenia Coulter remembers that when she was fourteen, Father Weigand asked her to play the organ when he conducted Sunday mass at the hospital. Coulter is now a psychologist in Ithaca, New York, and she dates her interest in the field from that time, when she discovered that too many people were being needlessly institutionalized. The seminary's enrollment peaked at about 100 students in the late 1950s and early 1960s, then fell rapidly. By 1968, the number had fallen to only thirty-five or forty students and the seminary closed its doors. "When the decline in enrollment began, it never revived," says Father Charles Irvin, a longtime Ann Arbor pastor now a priest in Manchester. "It was a time when students and priests lived together as a religious community, engaging in spiritual exercises, and there's no longer a demand for such an institution." "It was so disheartening when the school closed down and the fathers left," laments Helen Moray. "But there simply weren't enough students to keep it going." The entire complex was sold to Washtenaw County in the early 1970s. Though the county has now owned it far longer than the Holy Ghost fathers ever did, the original buildings are still recognizable (as of 1997). What is left of the elegant LaPointe house is now a court annex. The chapel serves as a storage area for the prosecuting attorney's office, with dilapidated file cabinets lined up across the beautiful stone floor. But the bell tower remains, as well as the murals on the west wall, no longer hidden behind overgrown bushes. Source: This article originally appeared in the Ann Arber Observer's November 1997 issue (copyright 1997 by Kristy Short). It is used here with permission of the Observer and copyright holder, Kristy Short: kristycomm@yahoo.com. Persons interested in doing additional research on Holy Ghost Seminary, should contact Kristy Short; she still has her research notes from the preparation of this article. 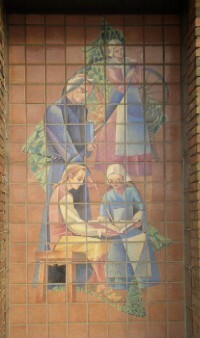 Photo of Seminary in 1997 is by Peter Yates (Copyright 1997 by Peter Yates). It is included here with his permission. 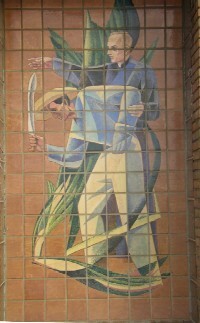 The mural photos by Don LeClair were taken in January 2003. Note that the overgrown bushes have been removed since 1997. The property at 4101 Washtenaw Avenue Ann Arbor, Michigan (Pittsfield Chartered Township) is now known as the Washtenaw County Service Center. Originally, it was sold to The Congregation of the Holy Ghost and the Immaculate Heart of Mary, a non-profit Corporation located at 646 Monroe Avenue, Detroit Michigan. By Mr. Frederick T. Hoeger, a single man on March 24, 1950. By Mr. Frederick T. Hoeger, a Single man on April 21, 1950. By Mr. Walter B and Edith B. Ford on April 20, 1950. The Chapel was build in 1961 per site plan 3-3-69 and still remains at this location. 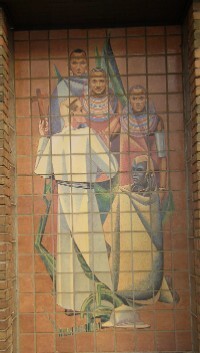 The murals are located on the west side of the chapel. Francis P. Trotter cssp, Its President. Joseph A. Duchene cssp, Its Secretary.